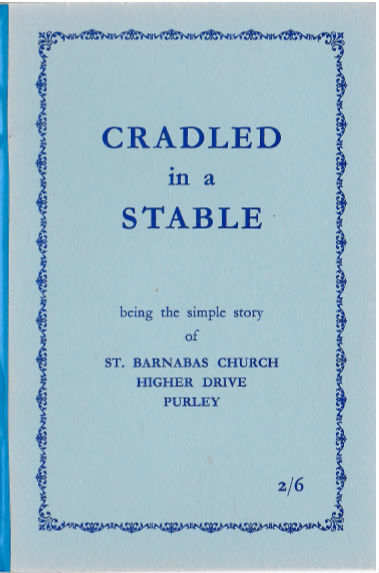 Cradled in a Stable is a contemporary account of the history of St Barnabas, Purley, written by a man who was there when the 'new' church opened in 1959. A very interesting read, which includes an introduction by the vicar The Rev Rc. C. Bone.